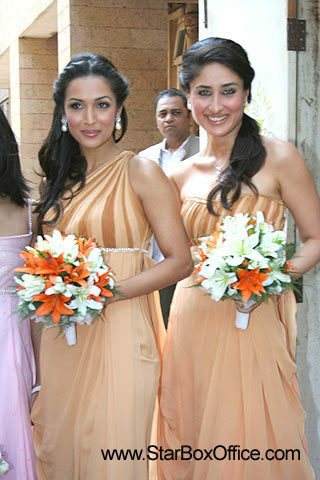 malaika and kareena at amrita aroras wedding. malaika arora and kareena kapoor at amrita aroras wedding. Wallpaper and background images in the celeb weddings club. This celeb weddings photo contains bridesmaid and maid of honor. There might also be gown.